Gifts are always the best medium to express love and gratitude. When the person residing close to your heart really wants an attention from your side then you can tell the untold by something really very special to them. In all the special occasions of our life we want care, affection and attention and the same goes on with those who are associated with us. As we like to receive gifts the person on the other hand also does. Gifts are the best medium of expression. One gift can speak thousand of untold words. As gifting is a necessary element of our life and so as the complications associated with gift as well. Choosing gift for an occasion, a celebration or for a person is one amongst the toughest task of a person’s life. But, there is always a thing that could be presented as a gift, no matter what is theme or reason for celebration. And, that very special thing is flowers. Flowers are the heart and soul of a special occasion of celebration. They make the receiver filled with joy and happiness. These are the best gift of Mother Nature that defines beauty, tenderness and peace of course. Containing all these three most important elements nothing else could take the position of flowers in the same. Flowers are the cutest and the most special expression of hidden feelings of one’s life. They are actually the gift that could not be replaced even in times. From the earlier times and till now flowers are presented as a sign of love, care, respect and affection. There is no doubt in this that flower could be presented as a gift on the special occasion of one’s life. But, how to keep hold on the theme of a celebration when you are supposed to present premium gifts? When considering premium gifts for an occasion or a celebration then people think that gold, silver gifts or something precious like these items can only be categorized as premium gifts. But, it is not at all like this. There are many special things that go well with the theme ‘premium gifts’, and one amongst such beautiful present is premium flowers. When flowers are arranged in such a beautiful way that it can lure the admirer then it goes with the theme of premium arrangement. For the people who are confused in the section of premium gifts and want to go with flowers, for them we are here with the finest choices of premium flower arrangement. These are not the normal or ordinary gifts but are meant for a special occasion and of course for premium gifting. We have the most astonishing flower arrangement that keeps the premium theme on and could help you attain those higher levels of compliments from the receiver of course. Getting things online is now being included in our daily life schedule. We shop for every necessity online. From food to grocery and from clothes to car, finding and buying things online has become a trend and it is because of the comfort and ease that we get while doing eh things. For the complete ease in anything, it is always better to go with the option that would seem convenient. Following the same thing people go with the flower collection too. 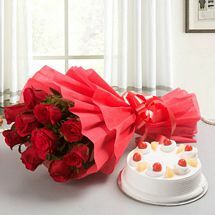 Presenting flower as a gift on the special occasions of celebration is a trend and now people go online for the same as well. People do consider the choices that could help them to express their feelings in the best manner. Flowers are no doubt the best thing for a celebration and when one is supposed to cater very special relationship bonding then presenting flower as a gift works out to be the best idea. Considering flower as a gift of the occasion is not wrong and when sometimes there is a need to present some special and premium gift the flower premium arrangement could be presented as a gift of the occasion or gift for a celebration to the loved ones. The best part is that flower premium arrangement as a special gift is now available online. Those who are planning for something very special and unique they can go with this present and definitely this could not put their expectations down. All the special relations of your life would be nurtured with these premium arrangements of flowers online. Gifting is the essential part of one’s life and routine. We encounter many situations where we are supposed to express our love, care and gratitude towards a person through a special gift. Choosing gift is actually a tough task because one has to consider many factors for the same. When there is lot of confusions then the best choice that emerges out is the flowers. They perfectly express the feelings and the best part is that they go well with every occasion. For something really very special and prominent there is a choice of premium flower arrangements. Those who wish to cater the special relations of their life they can go with the same. This is definitely one of the presents that would stand different from the rest and could enhance the reputation of the presenter in front of the receiver of course. Now, the very common question and the concern of many people is that can they send flowers online to India or abroad. The answer to this is a big yes. Anyone can send flowers worldwide and within the country premises. There are many online flower portals that provide with this option but we are amongst those who would provide free shipping and delivery services of flowers in India and abroad too. Roses, lily, gerbera, tulip, orchid, carnation, are few of our best pick flowers for premium arrangement. These premium flower arrangements could be presented perfectly well on the occasions like birthday, anniversary, valentines, New Year, Christmas, etc.